RuthLily Writes : The Legacy of Buffy Summers: Katniss vs. Bella. 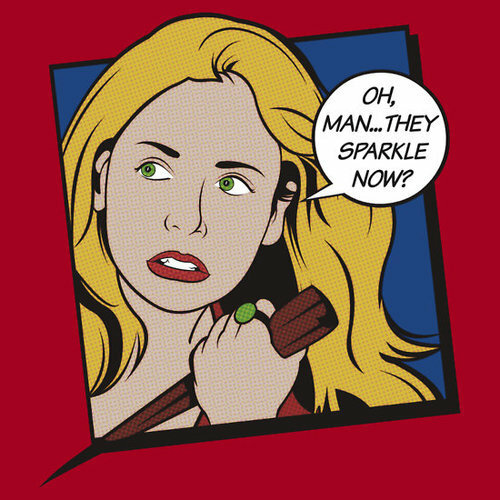 Joss Whedon’s Buffy Summers is what would certainly be called a ‘strong female character’. With physical strength, good looks, witty one-liners and seven seasons of emotional growth. 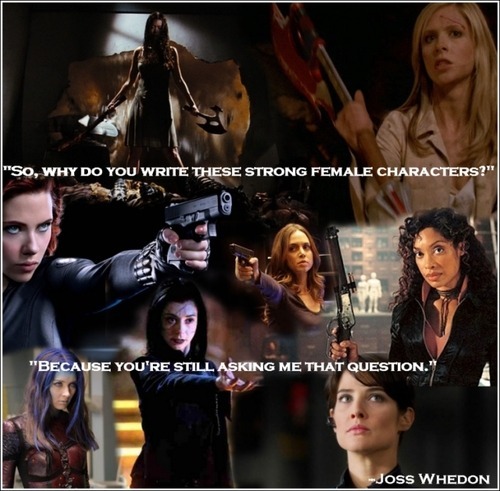 Whedon created a female protagonist who was not the damsel in distress of his vampire series, but the hero and driving force. Buffy may have been blessed with super human strength, but her reluctance as a hero and her emotional journey through growing responsibilities, grief and heart break made her an extremely relatable role model for her young viewers. Whedon has become somewhat of a poster boy for the strong female character with his answer to why he writes strong women, "Because you are still asking me the question." Buffy’s legacy does live on, and not just in the work of Whedon, it can be seen in the recent torrents of popular young adult fiction film adaptations with strong female heroines saving the day. The Mortal Instrument’s Clary Fray, Uglies’ Tally Youngblood, Divergent’s Tris Prior, Delirium’s Lena Haloway, The Fault in Our Stars’ Hazel Grace Lancaster, have all hit the big screen, or have plans to soon, fighting hidden demons, various dystopian regimes, cancer. Their very presence and popularity on page and screen shows us the need for feisty female heroines in Buffy’s ilk is ever present. The two major players of this book to screen journey are of course Twilight’s Bella Swan and The Hunger Games’ Katniss Everdeen. Bella has drawn numerous comparisons to Buffy due to the vampire love interest storyline, but she has not often come out of it well. Katniss however has been frequently held up as a suitable heir to the Buffy throne. Aside for the obviously vampire parallels, is there any of Buffy in Bella? To start off, here is a remix video, that I have actually managed to include in almost every presentation I’ve given this year. It re-imagines the story of Twilight with Buffy in the place of Bella. Video: Buffy vs. Edward: Twilight Remixed. So, aside from its obvious brilliance and hilarity, it is very telling that this remix was made. As a feminist reading of Bella’s role in the series, we can see how obviously creepy and inappropriate Edward’s actions are towards her. Yet she laps it up as part of his mysterious vampire charm. There are certainly parallels to be found in Buffy, with her first meeting of Angel being him stalking her down an alley. In Twilight Bella is saved by Edward after she is threatened by a group of men down an alley. 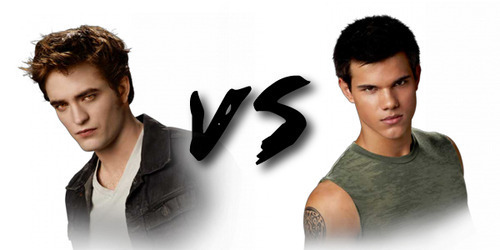 It is Edward and Jacob who are really the central characters of the story, and clearly when you look at the activities of the fans, ‘Team Edward’ and ‘Team Jacob’ is more about who fans themselves want to end up with, than a shipping war over Bella’s romantic destiny. When writing my undergrad dissertation a few years ago, I interviewed a family friend who was 14 at the time, and a big Twilight fan. She has since seen the error of her ways, but for her, Edward was the reason she loved Twilight. When I asked her what she liked so much about the series her first answer was ‘Robert Pattinson’, and then ‘I don’t know, the cool vampireness sparkylness,” When I asked her how she felt about Bella and Edward’s wedding she said “I thot OMG GO AWAY HES MINE.” (All caps.) It’s clear for Micaela, the series wasn’t about identifying with Bella in any way other than sharing her love for Edward. Micaela’s concerns over the characters lay resolutely with the male vampire lead. Milly Williamson discusses this in The Lure of the Vampire where she argues, “at odds with much theorising about popular vampire fiction, female fans do not identify with the vampire’s female victims, but rather, empathise with the vampire figure itself.” It wouldn’t be much of a push to think of Bella as the ‘victim’ of the story. Buffy however, was never the victim of her series, reversing this convention and being the hero and driving force of the story. 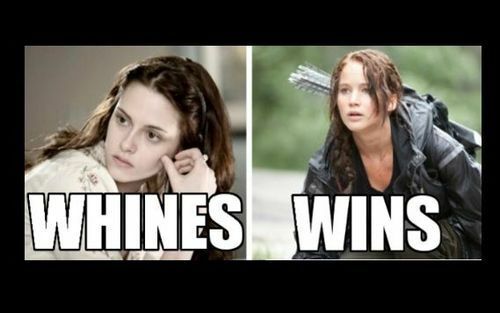 There is however some hope, in the form of Katniss Everdeen, the heroine of The Hunger Games. Katniss has been well and truly attached to the ‘strong female character’ title and while her world isn’t filled with vampires and demons, it has human monsters of its own, which she has been forced to fight against. There is a lot of Buffy in Katniss; the reluctant hero, the coming of age under ‘end of the world’ circumstances, the role as provider and protector over her family, the will to sacrifice herself over others. Where Bella was deemed a bad role model for Twilight’s young viewers, Katniss has been heralded as the ultimate in female role models. Online there is a clear alliance to Katniss and her strength. Bella will unfortunately never live down the time she rode a motorbike and jumped off a cliff in order to feel a rush big enough to allow her to hallucinate the absent Edward. In An Imagined Girls Nights with Katniss Everdeen, Hermione Ganger, Bella Swan and Buffy Summers written by Steve Radbourn (Please read, is HILARIOUS.) 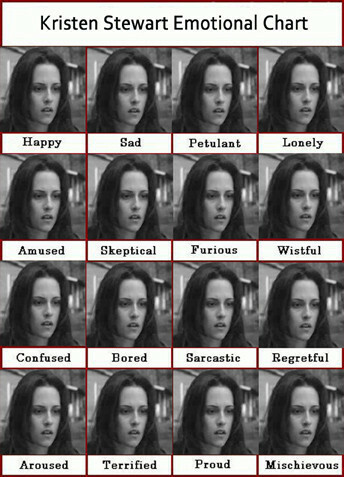 Bella’s personality traits are played off against the other three heroines for comic effect. While catching up on everyone’s week Hermione, Buffy and Katniss all had the task of saving the world on their plates, while Bella… well there she is not living that cliff jump down. When Bella tries to get Katniss to join in on the topic of love, she asks Katniss: “So Katniss, who are you going to choose between Peeta and Gale?” Katniss replies that she has been busy with her revolution. Katniss is often framed as this serious, conflicted character, with her and Bella’s plots played off against each other. 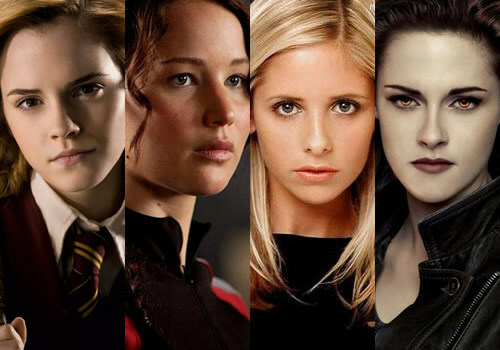 Buffy, Katniss and Hermione all have worlds to save, in stark contrast to Bella’s love triangle. I think this is something that can be seen in Katniss. In her life in District Twelve she spent much of her time hunting with bow and arrow to provide for her family, on reaping day she allowed time to dress in one of her mother’s dresses, and have her mother plait her hair. This mother/daughter beauty regime is at odds with Katniss’s seemingly masculine traits as hunter-gatherer and also at odds with their lifestyle. Similarly Katniss is taught how to ‘perform’ femininity for the cameras during the televised pre and post hunger games interviews, her dresses often telling a lot of the story, which ultimately acts as another, very different, kind of survival tool for her outside of the arena. What makes Katniss and Buffy such great female role models is that their feminine traits are presented as equally important to the ‘masculine’ traits, strength and ability to fight and kill, for their battle and lives. As well as feminine clothing, their love and compassion are vital tools to see the triumph of good over evil succeed. In stark contrast to the ‘Team Edward’ and ‘Team Jacob’ narrative of Twilight, the love triangle of The Hunger Games takes up much less of fans’ time. There is definitely more of a ‘normal’, and I use that word lightly, shipping activity, with fans supporting Katniss’s choice to settle down with Peeta. ‘Peeniss’ or ‘KatPee’ being the ship names of choice. This narrative continues to the off screen real lives of the actors who play Bella and Katniss. 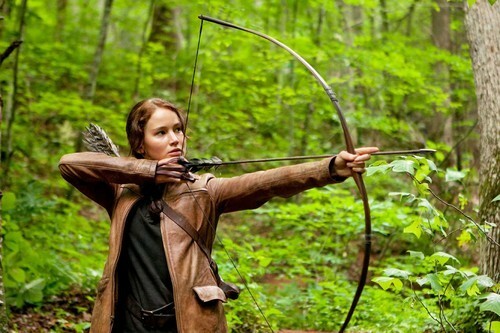 Jennifer Lawrence, who plays Katniss, is in her own right deemed a strong female role model. She has achieved a position of adoration in Hollywood, with an Academy Award and endless love for her authenticity as a star. Her trips and falls in large gowns, her constant insistence she loves staying in, eating food and wearing comfy clothes. She speaks out on negative body images for young girls and promotes herself as a positive example. Her fans do ship her with Josh Hutchison, who plays Peeta, but the ‘Joshifer’ narrative is more of a ‘look at how amazing their friendship is’, respecting Jennifer’s real relationship with actor Nicholas Hoult. It is important to remember how much of this is spin, and it is somewhat unfortunate Kristen Stewart has received the brunt of this negativity. But it is interesting how these off screen stories mirror those told on screen, with Katniss massively respected by its audience, and Bella much less so. Katniss certainly promotes change and revolution. With film and televison as a “powerful means of shaping public beliefs, creating role models, or challenging dominant ways of thinking,” hopefully there is a lot more of Buffy’s legacy to come.